Discover the momentous motor sporting events that took place on this weekend in history …. 1912: American motorcyle rider Eddie Hasha (19) was killed whilst racing at the New Jersey Motordome near Atlantic City. The accident also killed 4 boys and injured 10 more people.The press started calling the short 1/4 and 1/3 mile circuits “murderdromes”. Motorcycle championship races were moved to dirt tracks in 1913 because dirt was safer. 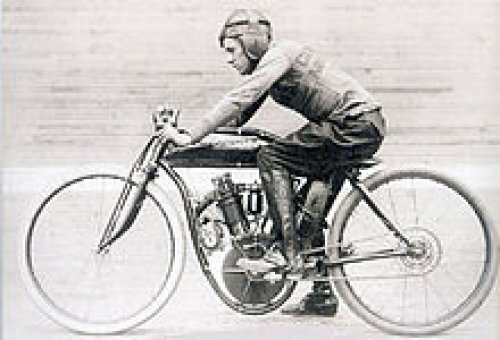 The national organisation overseeing motorcycle racing on board tracks banned all competitions on board tracks shorter than 1 mile in 1919. 1921: In a race at Brescia, Italy, Bugatti sensationally routed all opposition and finished in the first four places in their class. 1923: Ugo Sivocci (38), winner of the 1923 Targa Florio, died during practice for the #Italian Grand Prix at Monza, when his Alfa Romeo left the track and crashed into a tree. On the same day of the accident, a press release of the engineer Nicola Romeo announced the withdrawal of other Alfa Romeo cars competing. Sivocci’s car was painted with the green cloverleaf on a white background that was to become Alfa’s good luck token. His car was carrying number 17, which was never again assigned to Italian racing cars. 1944: Les Graham, who would later win the first post-WWII 500cc motorcycle #Grand Prix World Championship, was awarded the Distinguished Flying Cross by the Royal Air Force. 1945: The first post-wart racing meeting in Europe was held in Bois de Boulogne, Paris. The winner of the main race was Jean-Pierre Wimelle driving a Bugatti. 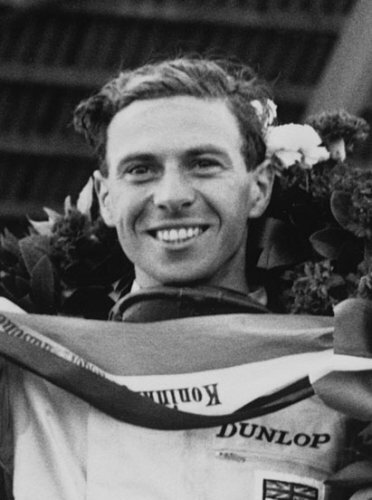 1950: Victor Hémery (73), the French champion driver of early Grand Prix #motor racing, died. His most successful year in his racing career was 1905. In August 1905, he drove a Darracq to victory in Circuit des Ardennes at Bastogne, Belgium, and in October 1905 he won the Vanderbilt Cup at Long Island, New York, beating Felice Nazzaro, Louis Chevrolet, and Ferenc Szisz. On December 30, 1905, he set a land speed record of 109.65 mph (176.46 km/h) in Arles, France, driving a Darracq. In 1951, Hémery was retroactively awarded the United States Driving Championship for 1905. 1957: Stirling Moss won the Italian Grand Prix at Monza driving a Vanwall. Juan Manual Fangio finished second in a Ferrari, with Wolfgang von Trips in third driving a Maserati. 1968: There was to be no fairytale ending for Graham Hill (Lotus-Ford) starting his hundredth grand prix in Monza (Italy) as Denny Hulme (McLaren-Ford)went on to take victory from Johnny Servoz-Gavin (Matra-Ford) and Jacky Ickx (Ferrari). Hill had qualified fifth but he disappeared after ten laps when a wheel nut fell off. John Surtees secured the first pole position in Honda’s history and vied for the lead in the early stages with Bruce McLaren (McLaren-Ford) and Jackie Stewart (Matra-Ford) but when all three also fell by the wayside, Hulme was left to take the chequered flag. The result meant that the top four in the standings were separated by just six points. 1974: Richard Petty rolled from the pole position to a dominant win in the Capital City 500 at Richmond Fairgrounds Raceway, Virginia, US. Petty took command with Cale Yarborough crashed out in the 121st lap and led the rest of the 500-lap main event on the .542-mile asphalt track. Benny Parsons finished second, half a lap behind at the finish. Richie Panch took third, seven laps off the pace. 1974: Ronnie Peterson in a Lotus-Ford won the Italian Grand Prix, narrowly beating Emerson Fittipaldi into second place, to leave the championship on a knife-edge. As the teams left Monza, Clay Regazzoni was on 46pts, Scheckter on 45 and Fittipaldi on 43. Niki Lauda was still in with a chance as well with 38. 1982: Norrie Galbraith, three time winner of the Scottish Hillclimb Championship, died at Doune hillclimb, during a television promotional event before the race. He encountered a tractor in his path that was coming back down the hill, the farmer thinking that it was the lunch break. After his death, the annual Norrie Galbraith Memorial Trophy was held by the Association of British Hillclimb organisers’. 1984: Ten years later, Russia’s first Formula One driver, Vitaly Petrov, was born. Petrov came into #F1 with massive financial backing to secure his drive with Renault. But he had already proven his pedigree by finishing second in the 2009 GP2 series, albeit a massive 25 points off Williams driver Nico Hulkenberg in the final standings. 1984: Johnnie Parsons (66), American race car driver from Los Angeles, California who won the Indianapolis 500 in 1950, died. Parsons first raced in open wheel cars on the West Coast of the United States in a midget car. He won the 1942 season championship in the United Midget Association. He won 18 feature events in the abbreviated season. Parsons began racing in the AAA after World War II. He captured the third feature in the 1948 Night Before the 500 midget race at the 16th Street Speedway. Parsons finished second in his first Indy 500 in 1949. He won the season championship that season. 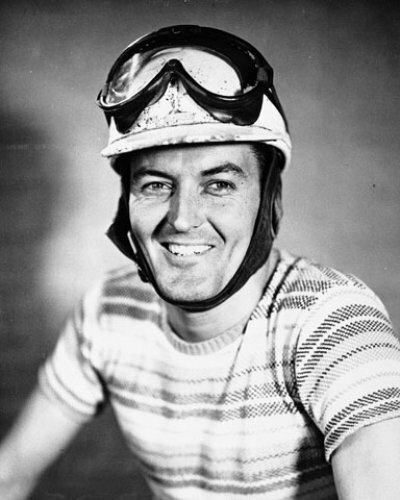 He also won the 1950 Indianapolis 500. He won the 1955 Turkey Night Grand Prix midget car race.After he retired, he became the Chief Steward for the USAC Midget division on the West Coast in the 1970s. 1985: The Italian Grand Prix was won by Frenchman Alain Prost driving a McLaren MP4/2B. It was Prost’s fifth and final victory of the 1985 season as he powered towards the first of his four Formula One world championships. Prost won by almost 52 seconds over the Brazilian duo Nelson Piquet (Brabham BT54) and Ayrton Senna (Lotus 97T). 1996: Michael Schumacher sent the Tifosi delirious by winning the Italian Grand Prix and ending a seven-year wait for Ferrari on its home patch. After a dominant season for Williams, Damon Hill could have sealed the drivers’ title and he duly took pole position ahead of team-mate Jacques Villeneuve, Schumacher starting from third. Hill emerged in the lead after the opening lap but only after re-passing a fast-starting Jean Alesi. Even the assembled Tifosi expected another Williams romp but exiting the chicane on lap six, Hill clipped the tyre barriers and spun into retirement. It left Schumacher to pick up the pieces and begin the celebrations. 1900: Cesare Isotta, driving a 5CV Renault, won the 400 kg class in the 5 km time trials in Brescia, Italy. 1901: The American Car Association (ACA) sponsored its first hill climb, a contest at Nelson Hill, near Peekskill, New York, US. The event was won by a steam-powered Grout Stanhope. 1901: The first long-distance motor race in the United States began in New York City, ending 5 days and 464 miles later in Buffalo, New York. In these early days of motor racing, the determining factor was not speed or endurance, but reliability. David Bishop’s winning Panhard et Levassor only averaged a speed of 15 mph, but managed the entire journey without breaking down – a remarkable feat. 1913: The first Corona Road Races (California, US) were staged on the city’s unique circular track. 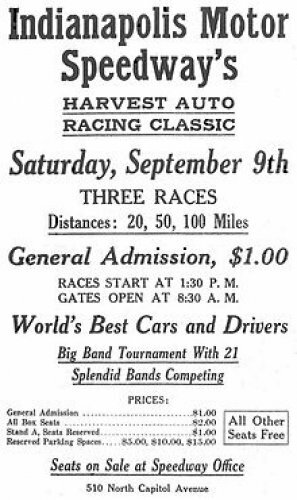 The winner of the main event, a 301.81 mile ‘Free-for-all-Race’, was Earl Cooper in a Stutz. 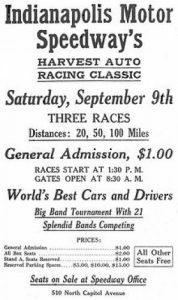 1916: The Indianapolis Motor Speedway hosted a day of short racing events termed the “Harvest Classic,” composed of three races held at 20, 50 and 100 mile distances. The crowd was disappointing, but those who didn’t attend missed a great show as Johnny Aitken won all three events. 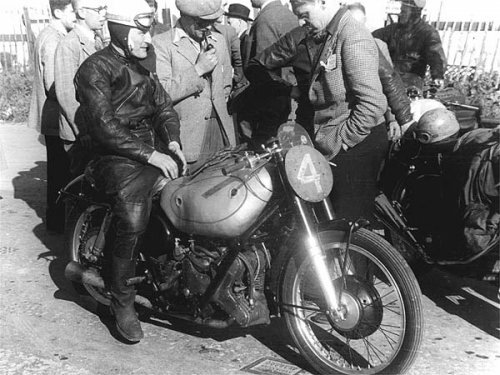 He was never without tough competition from outstanding racers like Eddie Rickenbacker, Hughie Hughes, and Howdy Wilcox. 1923: The Italian Grand Prix, held at Monza, the first race to be designated as the European Grand Prix, was won by Carlo Salamano in a FIAT 805. 1928: Run over 60 laps, the Italian Grand Prix at Monza was won by Louis Chiron driving a Bugatti 37A. It was the 8th Italian Grand Prix. This race was also the VI Grand Prix d’Europe. This race was marred by the death of Emilio Materassi on lap 17, when his car lost control on the main straight at over 120 mph while trying to overtake Giulio Foresti. The car swerved to the left of the track, bounced over a three-metre deep and four-metre wide protection ditch and a fence and crashed into the grandstand, killing him along with 22 spectators. Other sources have stated that 27 spectators were killed overall, but this is unconfirmed. By either estimation this was the worst accident, with respect to the number of lives lost, to occur at a Grand Prix and it is only surpassed by the 1955 Le Mans disaster in the history of motor racing. As a result the Italian Grand Prix was to not be held again until 1931. 1944: Robert Benoist (48) died. The Nazis executed the French Grand Prix motor racing driver and war Pre-World War II racing great, in the Buchenwald concentration camp, for being a French resistance leader. 1955: Zora Arkus-Duntov drove a Corvette to the summit of Pikes Peak (4,303 metre), Colorado in a record breaking time of 17 minutes, 24.05 seconds. Duntov had set a new sedan class record by more than 2 minutes. Chevrolet immediately launched an extensive advertising campaign around the Pikes Peak success. They used the opportunity to tout everything from Chevrolet’s superior handling to vehicle safety. Billboard ads and printed newspaper supplements appeared all over the U.S. in short order. Duntov’s record setting run up Pikes Peak brought him to the attention of others in GM and throughout the world of #motor sports. He leveraged this success to create opportunities for him to make important contributions to many of GM’s motor sports programs and the Corvette in particular. 1973: Going into the Italian Grand Prix, Emerson Fittipaldi was faced with the almost impossible task of needing to win the final three races with Jackie Stewart failing to score to take the title. As it happened, Fittipaldi finished second behind team-mate Ronnie Peterson as Stewart coasted home fourth to secure his third and final drivers’ title. 1979: South African Jody Scheckter won the Italian Grand Prix for Ferrari, securing his one and only World Drivers Title. The field was slightly larger than normal at Monza with the return to the World Championship of Alfa Romeo which fielded a new 179 chassis for Bruno Giacomelli and the old 177 for Vittorio Brambilla, back in action for the first time since the crash at Monza the previous season. 1984: Monza saw the first all-turbo race in Formula One history after the Tyrrell team was thrown out of the championship for running its cars underweight during the race before topping up its water injection supply tanks with extra water and lead shot to ensure they made the weight. In the race itself, Niki Lauda took advantage of the retirements of Alain Prost and Nelson Piquet to win from Michele Alboreto and Riccardo Patrese. 1990: Ayrton Senna took a pole to flag victory to win the Italian Grand Prix from title rival Alain Prost and Gerhard Berger but the star of the show was Jean Alesi, albeit only for four laps! Having qualified fifth, the Frenchman passed Mansell then Prost at the start before the race was stopped as Derek Warwick turned his Lotus upside-down on the start-finish straight. Once again, Alesi brilliantly overtook Mansell and Prost at the re-start before spinning and the race then became a procession to the finish. But Alesi had shown glimpses of brilliance in his less-powerful Tyrrell. 1990: Dale Earnhardt held off Mark Martin on a restart with three laps left to win the Miller Genuine Draft 400 at Richmond International Raceway, Virginia, US. Earnhardt, who led 173 of the 400 laps on the .75-mile asphalt track, logged the eighth of his nine wins for the season on the way to his fourth championship in #NASCAR’s top series. Darrell Waltrip, Bill Elliott and Rusty Wallace completed the top five. 2006: Spyker bought Midland F1 Racing, a Formula One team from Russian businessman Alex Shnaider. Spyker paid US$106.6 million for the team which was re-named Spyker MF1 Team for the last three races of the 2006 Formula One season. As part of the deal, the cars had a revised livery for the final three races of 2006.